Today is the fourth day since you have been gone. Ita and I have been worrying and waiting for you. We pray that you are in a place somewhere safe and in good health. Is this what you meant when you say “It’s hard to say goodbye to someone you love?” Well, dear, you don’t have to worry about me, ok. I’ll be fine. I’ll promise to take good care of myself and wait for you. You know what, Yang? 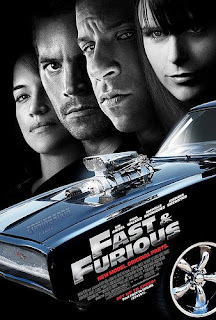 Yesterday, my siblings, and me went to watch a movie, Fast and Furious 4. One of the best movies. Nanti when abang dah release , we shall go for movies together, ok. Yesterday wawa booked for an early bird show, 11am. And the rule is that, we need to collect the tickets 45mins before the show. So you can imagine the “chaoticness” at home, having to wake my brother on Sunday morning. Arghhhh. Anyway, I really enjoy the movie. Not to mention Van Dissel too hehehe.